3rd Planet Techies (@3ptechies) has been listed as a winner in the Broadview Network’s Top Tech Blog Award 2015. We are happy about this and would like to congratulate our readers for making this a rare possibility. We got contacted by Broadview network about their award ritual which we happily accepted to take part in. 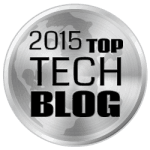 To our uttermost amazement, we got listed as a Winner in this year’s top tech blog award. Broadview Networks is a leading business VoIP and cloud communication provider serving business customers since 1996. Broadview has built and operates its own advanced communications network and offers next-generation services including cloud-based phone systems, integrated networking services, and cloud-computing services. Broadview Networks is seeking out the most relevant websites in the online technology, business innovation, and entrepreneurship communities. Our goal is to give a comprehensive list, nominated by readers and staff, which will help our clients and partners glean the best technology and business advice on the web. 3rd Plant Techies [@3ptechies] decided to use this platform to say a very big thanks to YOU that have made this possible and vows to stay focused in dishing out only top-notched tutorials and tips to help you improve technically and otherwise. The senior editor, Obasi Miracle was extremely excited about this development and has re-assured its readers of quality over quantity! Anyday, Anytime! Here are some other top technology blogs listed in this year’s top tech blog award by BroadView Networks. You can view the full list, see criteria and connect with the top blogs via the 2015 top tech blog award page.